Some people are blessed with perfect eyesight and can go their entire lives without ever having to put on a pair of glasses or squint to see clearly. For the vast majority of the rest of us, on the other hand, it is necessary to have corrective vision procedures in order to get 20/20 sight. For those who live in Houston and the surrounding areas, it is possible to get treatment from one of the best cornea specialists in the entire world. 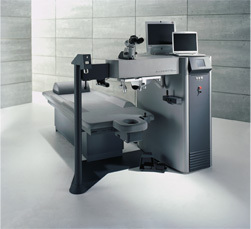 LASIK eye surgery Houston: Dr. John Goosey can provide a permanent solution to your vision issues. What’s In a Name? You should be very aware that laser vision correction, Houston medical practices and corrective procedures are not all the same; and, not all LASIK eye surgery Houston doctors have the ability to provide different options for your vision. With the expertise of cornea specialist Dr. John Goosey it is possible to get treatment ranging from laser eye surgery to a full crosslink procedure – a treatment that is difficult to find elsewhere in Texas. 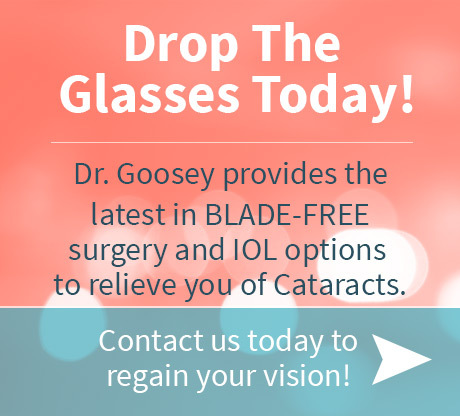 Laser vision correction: Houston surgery, treatment and operations done by Dr. John Goosey will re-shape the focusing lens of the eye or otherwise modify the cornea in order to provide better clarity of vision, usually with laser vision correction. Results to Expect Dr. John Goosey can tell you how various types of LASIK eye surgery can have varying results. As a cornea specialist, he has seen countless cases and has guided them through laser vision correction. Houston is very proud to have Dr. John Goosey for LASIK and other corneal procedures.